Do you live a life without limits? Do you often think about what that means? Can you imagine a world where disabilities didn’t stop anyone from living a rewarding, happy and productive life? United Cerebral Palsy has had a center here for 30 years. UCP’s adult day centers in Modesto and Turlock work hard every day to create lives without limits for its members. Cerebral palsy, traumatic brain injuries, mobility injuries, autism and many other disabilities of other diagnosis can pause lives, but UCP is making sure those pauses are short. Only 20% of their members are affected by cerebral palsy; they assist anyone affected by mobility issues, regardless of the biological cause. Every day they hope to enrich the lives of their members by giving them independence–the kind you and I take for granted every day. Many of us have daily opportunities to make memories, make money, make new friends, and experience something new. Can you imagine NOT having those experiences every day? The staff at UCP strive to create stimulating environments to benefit members and encourage them to try something new. Aside from the day program, and their job placement programs, they have a program called Expanding Horizons, which is devoted to (you guessed it!) expanding one’s horizons! By integrating something new in to the lives of their members, bridging the gap between mundane and exciting, makes every day an adventure. Recent trips include bowling, visiting parks and beaches, volunteering efforts, going to San Francisco and taking the ferry to Alcatraz, and even camping. The annual camping trip is a very fun event that members truly look forward to. UCP has partnered with Tuolumne Trails, who have adapted common outdoor camp shenanigans like hiking and swimming for anyone to enjoy, regardless of physical limitations! So many memories are created summer after summer. 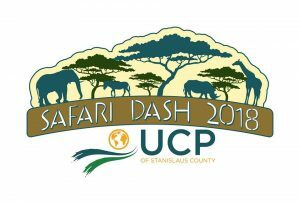 It’s currently $500 for each member to attend, so fundraising efforts like the annual Sips & Treasures and the Annual Safari Dash keep events like the Trails happening. One of their best fundraisers is coming up on World Cerebral Palsy Day, Saturday October 6th. The Second Annual Safari Dash 5k will start at 8am at 2001 Edgebrook Drive, East La Loma Park, Modesto. The ½ mile will begin at 8:30am. All abilities are encouraged to attend. $30/$10. Children get to run in the Kids Dash for free at 8:45am. 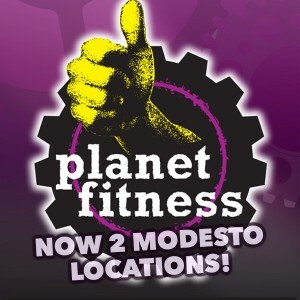 For more info email visit safaridash.org or call 209.577.2122 ext. 106 .